The Style Ref and I share a love of all things gameday! I asked her to share her favorite holiday decorations with us. I think I have to have the inflatable Santa playing football. How great! Craving something new to spice up your holiday décor this year? 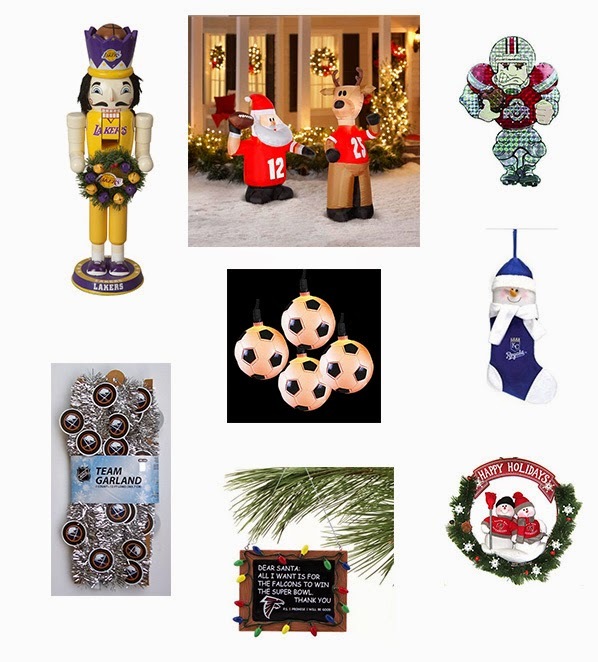 Incorporate a little team spirit into your display with The Style Ref’s favorite decorations for sports fans. These unique items will have you and your family cheering all holiday season long! Also, check out the Sports Fan ornament selection at Kohl's.